By now, many of you have heard that the Obama administration has appointed a Compensation Czar whose responsibility it will be to set salaries and bonuses for 175 top executives at seven of the nation's largest companies - companies who have received federal bailout funds. The new official, Washington lawyer Kenneth Feinberg (recommended for the post by Connecticut Senator Chris Dodd) is best known for having served as Special Master of the Federal September 11th Victim Compensation Fund, a role in which he spent several years overseeing payouts totaling $7 billion to victims of the September 11 attacks. In this capacity, he was responsible for investigating claims and ultimately putting a value on the lives of the victims in order to determine government benefits to be paid out. An overwhelming challenge, at which - it appears by most accounts- Mr. Feinberg did an extraordinary job. He captured his experiences in a 2005 book "What is Life Worth?". While Mr. Feinberg appears to be an individual of exceptional capability, I see his selection for this new role as both interesting and revealing. The fact that administration officials and Senator Dodd chose a Washington attorney and gifted arbitrator/negotiator rather than a private sector business leader, corporate governance expert or even (gasp) someone seasoned in executive compensation design/administration says a lot about their perspectives on the structuring and administration of executive rewards. At least that's what I think. Your take? The effects of the recession continue to impact pay, benefits and job prospects for employees around the globe, according to the findings of Hay Group's just released Reward in a downturn study. Executive pay seems to be hit hardest but job restructuring with an aim to reduce staffing levels is highest for white collar employees. A range of HR programs are hitting the chopping block. 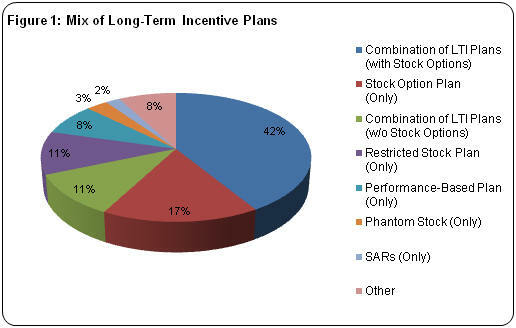 Most short-term incentive plans are paying out at levels below target. Long-term variable pay value has dropped significantly. And yet, most participating employers report that talent management remains a high priority for their organizations. Compensation Cafe contributor Becky Regan provides her own detailed look at the findings of the Hay study: click over to read her post. Earlier this month, Watson Wyatt surveyed 145 large U.S. based organizations to determine the effect that the economy is having on their executive pay programs, a repeat of a similar study done last December in order to examine trends over recent months. Survey results suggest that companies - at least the large ones represented here - are making some pretty dramatic changes to their programs. 55% of respondents have frozen executive salaries (up from 21% in December). 20% have reduced, or are considering reducing, executive salaries (up from 8% in December). 38% are making changes to their annual incentive plan performance measures (up from 29% in December). 30% are making changes to their long-term incentive plan performance measures (up from 21% in December). 36% have changed or plan to change the type of LTI vehicle used. Of these, 43% are putting more emphasis on time-vested restricted stock and 32% are putting more emphasis on performance-based shares. 33% expect to reduce their LTI dollar grant values compared to the prior year (up from 23% in December). 42% expect to grant more shares compared to the prior year. Most companies are managing with the shares they already have; 59% do not plan to request additional shares earlier than expected. Only 1% have taken action on their underwater stock options, but 17% are considering action in the next 12 months. Only 9% have made changes to their executive compensation program to address the issue of "excessive risk", with another 3% planning to do this in the next 12 months. I'm not going to stand here (er, sit here) and tell you that there are no issues with the level and design of executive compensation or the way bonuses were paid at some Wall Street firms. To use a well-turned phrase from a recent Hay Group missiveon the topic, "incentive plans that focus on the short term, that take no account of risk and that drown rational thought with life-changing sums of money" have certainly proven themselves to be no recipe for success. But before we leap to paint all incentive pay with the same broad brush of condemnation and send the pendulum swinging too far in the opposite direction, I'd like to suggest that some calm, rational thought about the steps we are taking might be in order. The main reason they'll backfire is that they make pay for performance, otherwise known as bonuses, illegal beyond a modest allowance, yet they permit unlimited pay for nonperformance. An executive may be paid a guaranteed base salary of any size but may not receive a bonus exceeding one-third of total pay. And even that minor bonus cannot be based on profits; the rules prohibit any pay plan "that would encourage manipulation of the reported earnings" of the firm, which is of course what any plan based on profits would encourage. So paying top executives in any sensible way is forbidden. Colvin's concern: that the net effect of these provisions will be to drive the most talented financial minds away from the institutions who need them the most. Those choosing to remain will be those content with a comfortable (or comfortable plus) salary and not much upside for producing results. While it might be somewhat cathartic to put the screws to the financial sector, let's not forget that a strong financial industry is an essential piece of finding our way out of this mess. There's a whole lot of discussion - mostly heated - going on these days about executive bonuses, incentive awards, business meetings and travel, etc., particularly in light of the economic crisis and government bailouts. To many of us involved or even just observing, these discussions can be very frustrating because of the wide range of topics that are being lumped together and collectively derided as "excessive compensation". Jumbling together a number of distinct business tactics and different economic scenarios isn't helping us have a constructive conversation on any of them. Here to help us sort the signals from the noise is Paul Hebert of Incentive Intelligence, who has a guest post on this subject up over at The Employee Factor. 1. Executive bonuses, salary, stock options, etc. 3. Business Meetings – for employees and channel partners to exchange information, train, etc. 4. Incentive Awards – predominately travel, but could include other non-cash awards. We need to argue the relative merits of each one – and how they affect both bailed out companies and non-bailed out companies. We cannot lump them together as they are distinct and different things. From here, Paul proceeds to build a framework for more fruitful discussion. He also generously shares a set of slides he developed in order to help all of us put a stake in the ground as we work to determine how best to use incentives in our current economic situation. Wikipedia defines moral hazard as "the prospect that a party insulated from risk may behave differently from the way it would behave if it were fully exposed to the risk". In an article focusing on moral hazard in executive compensation, Frederic Cook discusses how this can play out when executive teams are "rewarded for the positive outcomes of good investments, but insulated from the negative consequences of investments that turn sour". A timely topic given the focus on executive incentives, by our representatives in Washington and the public at large, and their potential role in the credit crisis. Pay modest or no severance for failed performance. Senior executives could be subject to two tiers of severance benefit – one, a higher tier, for "no-fault" terminations; the other, a lower tier, for "good reason" terminations relating to failed performance that fall short of "for cause" definitions. The public simply cannot understand why boards allow executives to receive multi-million dollar settlements when they are fired for leading the company to failure. It undercuts public support for good executive compensation practices and contributes to public perceptions that the game is rigged in executives' favor. Prohibit "flipping" of option gains. Require executives who exercise valuable options to hold a portion of the after-tax profit shares. For example, requiring executives to hold 25-50% of the net after-tax profit shares remaining after covering the option exercise price and taxes for one year after exercise is not onerous. It would function as a form of "claw back" if the executives exercised at a high point and the stock subsequently declined because of poor performance. Sound ideas from one of the premier experts in the field, and a reminder to any of us involved in executive compensation design: While we must keep in mind the need to attract and retain the executive talent required to lead our organizations in these difficult times, we must also ensure that the pay programs we implement reflect a responsible and sustained balance between the interests of all affected parties. With the economy and markets in turmoil, many organizations are struggling to find the best response across all elements of their compensation strategy, but particularly for their equity-based pay plans. In an article covering initial results of its recent study "Weathering the Storm in 2009", Mercer discusses the game-changing nature of what we are now facing, notes some of the early approaches being taken, and suggests a list of factors to consider in finding the solution for your organization. We believe that many companies will be hard-pressed to maintain the same value of LTI grants for upcoming awards due to plan share deficiencies or the appearance of overreaching, or both. The economic turmoil in today’s markets is unprecedented, so unprecedented actions are likely to be taken. -Reducing value by a fixed percentage – Some companies are considering an across-the-board haircut to target LTI grant values. For example, a 10 percent to 30 percent reduction in grant guidelines from 2008 is being considered to recognize the market decline and mitigate share usage. -Using a “collar” approach to at least partially adjust grant levels to meet a target value – Companies are allowing an adjustment to the number of shares to adjust to value, but are providing a cap on the maximum adjustment to share grants versus the prior year (for example, 25 percent to 50 percent increase). -Calibrating grants in light of company performance – Performance for 2008 can be used as a barometer for grant sizes. For example, LTI grants may be adjusted proportionately to be directionally in line with annual incentive payouts relative to targets. This approach takes a performance-granting perspective of awards. Current surveys generally reflect practices from early 2008 while proxies reflect LTI grants from 2007. This means that market data will play a modest role, if any, in decision making for 2009. We recommend that companies evaluate a range of factors to determine the best course of action for 2009 to suit their unique situations. -Impact of the economic environment on your company and industry – Consider the shareholder perspective. Share prices in some industries, such as consumer packaged goods, have held up well in this environment, while others, such as financial services organizations, have been hit hard. Grant value reductions are likely to be greater in those sectors with greater share price declines. -Total share usage and plan capacity – Model the total share usage as a percentage of common shares outstanding under a range of grant scenarios to assess the share-based run rate and implications for share plan capacity. Run rates over the past few years have declined substantially. While 2008 levels may be unrealistically low to replicate for 2009, a dramatic increase (for example, two to three times in the prior year) may be too much. Further, the amount of shares available may not support grant levels without adjustments, and it may take a while for performance to recover enough to obtain a significant new authorization. -Economic run rate – Consider the proportion of a company’s total market capitalization delivered in equity awards relative to the prior year, and relative to peer organizations. This value is the market value of share grants and the Black-Scholes value of options, divided by market capitalization. This provides perspective on the value transfer and executive “stake in the enterprise,” and is scrutinized by shareholders. -Retention value of outstanding awards – Analyze the value of unvested LTI awards under a variety of stock price scenarios over the next two to four years to understand the role 2009 grants need to play in retaining critical talent. Unvested gain of two to four times base salary for executives is a guideline to consider to counter potentially attractive hire-on offers from competitors. -Differentiation for critical talent and high performers – Assess the impact of maintaining values for critical talent and high performers, but reduce grants significantly for others to drive the allocation of awards based on impact and the need to retain. This may require making changes to LTI eligibility or participation rates at certain levels, or for specific job families within the organization. -Financial expense – Many companies that are aggressively cutting costs and equity expenses may come under review as well. Modeling the impact on accounting expenses will help frame the tolerance for LTI grant levels and how to balance dilution versus value. -Shareholder and advisory guidelines – Institutional shareholders and proxy advisers such as RiskMetrics Group (formerly ISS) have guidelines on share and economic run rate levels. The impact of grants on those levels should also be examined. -Compare relative impact on peers – If peer share prices have declined more than your company’s, you may need to use proportionately more shares than your peers for this year, and vice versa. This may point the way to what your peers’ share usage may look like in 2009 to assess the competitive imperative for adjusting grant levels. These are challenging times, particularly for those of us charged with managing LTI and equity-based compensation programs. I suspect we'll continue to learn our way - collectively - through this unique period, but it helps to get the kind of perspective and guidance that Mercer offers here. Like all other aspects of executive compensation management, the competitive benchmarking process is coming under harsh scrutiny. This poses particular challenges for the selection of an organization's competitive peer group, the group of similar businesses that are selected and used for the purpose of compensation and performance comparisons. Jim Heim, managing director of Pearl Meyer & Partners, in an article "Peer Group Pitfalls" published in the October issue of WorldatWork's workspan magazine, hones in on the five most common obstacles we encounter in this process and provides some advice for overcoming them. Obstacle No. 1: Our Competitors Are Generally Larger (or Smaller). Ideally a peer group should include somewhat larger and smaller companies, such that your firm's size approximates the group median. When this doesn't hold true, consider a couple of alternatives. First, use regression analysis techniques to determine "predicted" pay levels for a company your size. Second, select a reference point (e.g., the 25th percentile) that is either above or below the group median, but reflective of your company's size and place in the group. Obstacle No. 2: We have Outperformed (or Underperformed) Our Competitors. Year-to-year performance can vary significantly, and using annual performance as a key to peer group selection can result in substantial churn in the group roster from one year to the next. For a more consistent set of comparisons, use longer-term (e.g., a three-year aggregate) financial performance measure(s), preferably those that are most meaningful to your investors and analysts. Obstacle No. 3: We Generally Recruit Executive Talent From Larger Firms. "Aspirational" peer groups (groups that include larger, more complex, higher-performing firms which the company wishes to target for recruitment) have been rightly criticized when used as the sole reference point for benchmarking executive pay. A more acceptable approach might be to develop and utilize two separate peer groups; one of aspirational peers and the other of size-relevant companies. If strong financial performance is sustained over time, the aspirational peer group will become increasingly size relevant. Obstacle No. 4: We Have Few Clear, Direct Competitors for Our Product or Service Offerings. It may be that direct competitors are foreign-based, privately held or subsidiaries of larger companies, or it may just be that your company operates in a pretty specialized niche. In such situations, the best approach may be using firms from "like" industries - in the way that brewers, distillers and winemakers may be considered like industries. Be mindful of any particular differences in financial performance, choice of pay vehicles, etc. from one like industry to another. Obstacle No. 5: Our Industry is Consolidating and Several of Our Competitors Were Acquired. Industry consolidation makes it difficult to maintain a consistent year-to-year frame of reference. Companies should establish a thorough, rules-based process of revisiting their selection every year to determine whether new firms should be added and any current firms removed. This will ensure that the peer group used each year is valid for external benchmarking, even if there has been turnover in the group roster. With all that is happening in our world and markets these days, this challenge will only get tougher. Are Stock Options Losing Their Grip? Stock options, once the undisputed king of long-term incentives (LTIs), continue their fall from favor, even (perhaps particularly) in technology and life science companies. Results from a recent pay practices and policies survey published by Culpepper reveals that companies in these sectors continue to shift away from plans focused solely on stock options towards plans using a mix of multiple types of LTIs. Blame the change in accounting rules (whereby companies are now required to expense options), the backdating scandals and declines in the stock market for pushing us toward the more balanced practice that we probably should have been following all along. Only 59% of the companies surveyed no offer stock options to employees; only 17% are relying on options as their sole LTI vehicle. The trend doward diversification of LTIs, as evidenced by the Culpepper study results is illustrated in the chart below. A new survey published by Presidio Pay Advisors reveals an interesting and telling trend - a dramatic increase in the use of "evergreen provisions" to replenish stock option pools without need for public shareholder approval. In its 2008 IPO Executive Compensation Survey, Presidio reports that the use of "evergreen plans" among IPO companies has increased nearly 20% each year for the past three years, a notable development in the midst of all the current hoopla around executive compensation (in general) and the say on pay movement (in particular). An “evergreen plan,” or a stock option plan with an “evergreen provision,” automatically gives boards of directors each year a renewable pool of stock shares to distribute to the company’s executives and employees as compensation. The term “evergreen” refers to the fact that the board needs to obtain authorization to institute the plan only once instead of every few years. ... Having an automatically renewable stock option plan removes shareholder oversight, and many see such provisions as a symptom of executive compensation excess. About half the companies that went public in 2007 implemented "evergreen" provisions in their stock option plans prior to their IPO. Since they were still private when they implemented the provision, it only required the approval of their venture capitalists and board members, avoiding the stringent scrutiny from institutional investors and shareholder advocacy groups. On the other hand, when public shareholders buy the IPO stock, they are implicitly signing off on the evergreen plan. This is a rather big deal, as our friends at Presidio make plain. It will be interesting to watch how long/far the pre-IPO "evergreen" provisions are able to increase in prevalence, as awareness of their use and implications grows.